But I slept well last night, and I'm hoping for a comeback! I have a little layout to share with you today! I am loving the gold everywhere this season. As you can tell! On this layout, I documented some of Ellie's likes and dislikes at her current age (which was 16 months--I'm a little late on the uptake here). It's funny to look back on, because even in a few short months, things have changed. Bottles (aka bakis) are no longer part of our routine, and Ellie is now able to reasonably tolerate me holding other babies. Which is good, seeing as how her sibling will need some love and attention! 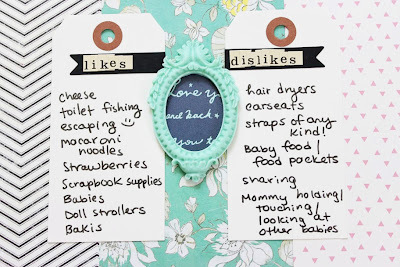 Hair dryers and carseats are still on the "dislike" list, and she seems to dislike sharing more than ever....Luckily, strawberries and cheese are still solid favorites. Toddlers--hard to keep up with them, I tell you! I used a Studio Calico kit for this one, although I can't for the life of me remember which one. I really enjoy likes/dislikes pages because they're great at showing personality and who we are at a certain age in a fun and engaging way. I need to do one for myself soon! What are YOUR tops likes and dislikes right now? 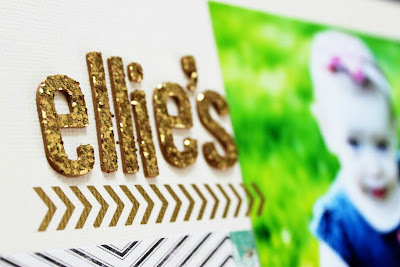 Such a pretty layout and great use of the cameo embellishment! beautiful layout, Keshet. I hope you'll be able to sleep and rest more! my top likes and dislikes? sleep and heat! lol.. This is a great idea! I'd love to do something like this every six months or so for my girls and keep forgetting! But their likes and dislikes change so often, it's fun to go back and read stuff like this when they are older! 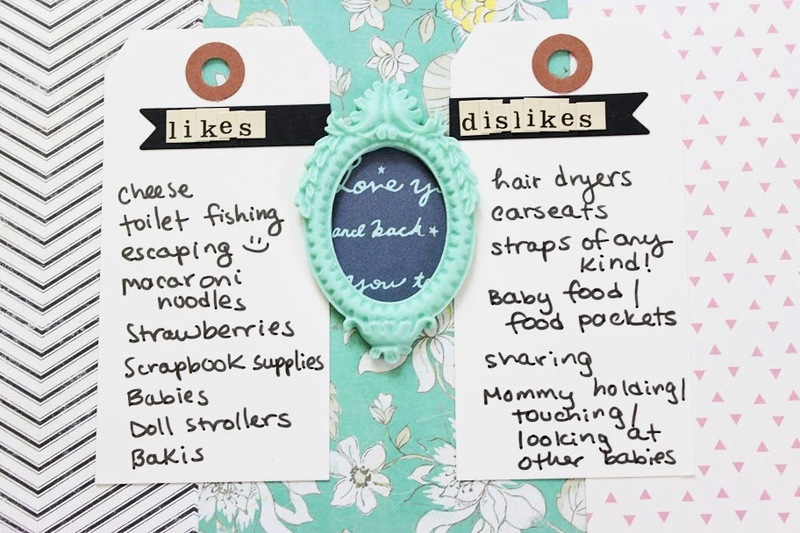 Great layout, and such a sweet idea to do a like/dislike layout about your baby ! I should do the same for my kids, love the idea, and your layout is so cute !